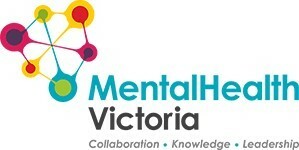 VDC is working with Mental Health Victoria (MHV) to develop this program. The Victorian Department of Education and Training (DET) has funded the VET Development Centre (VDC) to develop and deliver specific professional learning for Vocational Education and Training (VET) and Learn Local Organisation (LLOs) teachers, trainers and assessors delivering National Disability Insurance Scheme (NDIS) qualifications. This training is part of a suite of quality initiatives under Victorian Government’s Keeping our Sector Strong: Victoria’s Workforce Plan for the rollout of the NDIS. Teaching practice will need to reflect that under the NDIS, disability support workers will be working with people with mental health conditions, supporting their social interactions and helping them overcome barriers to equality they may face. 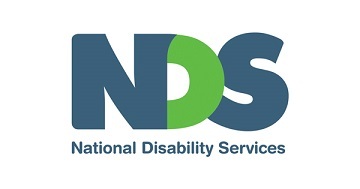 The NDIS will require skills in relation to both the disability and mental health systems, with their distinct sets of support systems, principles and terminology. This session is designed to deepen the understanding of mental health and the related issues. It will explore attitudes and stigma attached to mental illness and suicide, and the fundamental components of the recovery framework. It will provide an understanding of NDIS plans and how they can support people with psychosocial disability in relation to mobility, communication, self-management, social interaction, learning and self-care. Participants will learn how they can use this information in the delivery of relevant qualifications and units from the community services training package. Victorian mental health services – then and now. Lorelle Zemunik’s background includes a range of case management and service delivery positions across a variety of both community and clinical mental health services. Lorelle has been using her lived experience of mental health for the past 10 years in peer roles including peer support, consultancy, consumer research and training. VDC is working with Scope to develop this program. Victoria Zainal is a Senior Speech Pathologist with over 25 years of experience in the Positive Behaviour Support Service with Scope. Victoria has worked in various areas including a combination of direct assessment and support of clients, consultation, staff mentoring and coaching, providing training, writing and reviewing behaviour support plans as well as planning and implementation of individualised augmented and alternative communication systems. Victoria is particularly interested in the use of Key Word Signing and low-tech communication strategies for the people with whom she works. Zero Tolerance is a national initiative that supports organisations to address abuse, neglect and violence toward people with disability in services. This interactive workshop has been developed by NDS to VET trainers and assessors. The workshops will support you to navigate the NDS Zero Tolerance Framework and facilitate conversations and activities using the resources. Liz Collier is the Project Lead for the Zero Tolerance Initiative at NDS. Liz has worked in a range of roles over the past fourteen years including direct support, supervision, training and advocacy. In her current role Liz works with people with disability, support workers, advocacy organisations and government to develop resources including e-learning programs and short films. Dave Relf is the Victorian Quality and Safeguards Manager with NDS. With an academic background in business and psychology, Dave has extensive experience working in the disability sector in residential service management and positive behaviour support. Find the details of the masterclasses below. Follow the prompts under 'Register Here' to nominate a masterclass to register for. VDC is working with NDS to develop this program.